KAYUNGA – The National Animal Genetic Resources Centre and Data Bank (NAGRC&DB) ,a government entity in charge of animal breeding and genetic under the ministry of agriculture is seeking Shs20b from the government to revive Lusenke government ranch located in Busaana Sub-county, Kayunga District in a bid to make the farm a centre of excellence for breeding animals and poultry in the central region. year, they will be able to revive the core activities of the farm by doing massive cross-breeding of cows, pigs, goats to help improve genetics and productivity of the animals. “We want Lusenke farm to be a centre of excellence for genetic and breeding improvement programme not only for Kayunga District but to the entire central region,” Dr Lagu said during an interview over the weekend. He said the government had so far injected sh900m which was used to construct a training centre for farmers and extension workers at the farm, manager’s residence and other facilities. He noted that they had also embarked on fencing the farm which sits on 7 square miles of land on the banks of River Nile, to prevent people from encroaching on it. Last week, Dr Lagu toured the farm to monitor breeding activities with the chairperson of the parliamentary budget committee, Mr Amos Lugoloobi together with local leaders and technical staff from the Ministry of Agriculture. He explained that inadequate government funding crippled the activities done in the ranch which has greatly affected people in the region which the farm was supposed to serve especially those engaged in livestock farming because they could not have access to good animal breeds. Dr Lagu said he has already directed some of his technical officers to relocate to the farm from Entebbe immediately after the completion of the structures at the farm that will accommodate the farm doctor and other technical staff. Mr Lugoloobi said, once Lusenke farm is revived, people in the region will be able to generate enough milk and be able to increase household incomes and fight poverty. “Whatever is being done at that farm translates into community benefits, therefore, the community will be receiving animals and birds of improved breed,” Mr Lugoloobi said. He noted that growing coffee and other crops could not help farmers in the region to earn at least Sh20m per year and this could be achieved if every household is engaged in livestock farming that will help them get daily income to supplement on the returns they get from growing other crops. “Farmers in the central region need to have daily incomes to be able to earn Sh20m per year and we think that through rearing improved animal breeds, they will be able to produce enough milk that will help them generate a daily income on top of earnings from other crops they grow,” Mr Lugoloobi said. 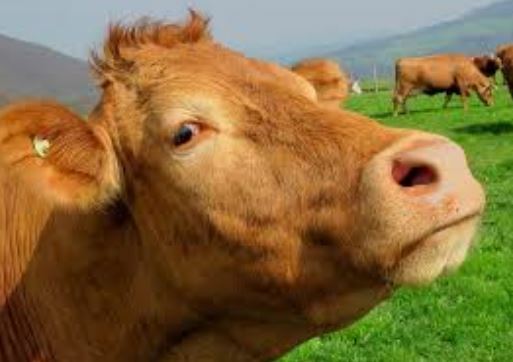 development programme that NAGRC wants to implement, will enable farmers to receive high breed animals that will make them produce more milk to make Uganda become a centre of excellence for supplying dairy and beef products in East Africa and in Africa at large.